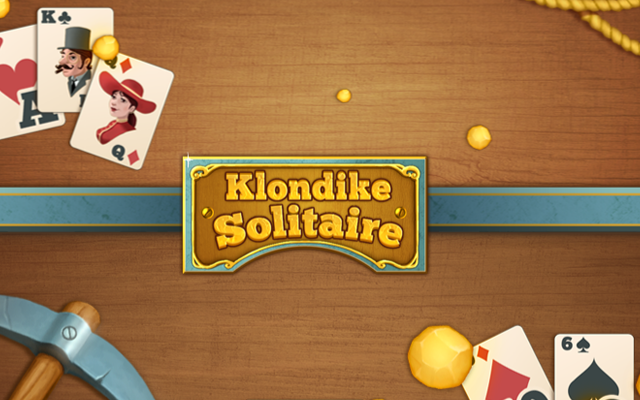 Play Klondike Solitaire at Gembly - Excitingly fun! The year is 1896 in the Yukon region, and George Carmack is prospecting for gold, though he is not having much luck. It appears that he needs some help searching for it. 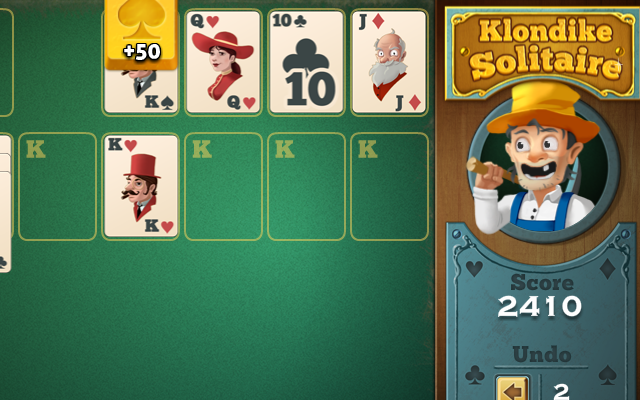 This is where you come in: Stack the cards correctly to show George where the gold is in this Klondike Solitaire card game! You can stack each card on every card that has a different color, and is one higher in value. You can drag multiple cards when they are stacked correctly. You can put a King on any empty place on the table. Create two sorting piles: columns and sorted piles. Every visible card in one of the columns can be used in the game. The sorting piles should be formed out of cards that increase in numerical order and have the same symbol and colour, starting with the Ace. The columns should be formed out of cards that decrease in numerical order and alternate red and black e.g. red 9, black 8 and so on. 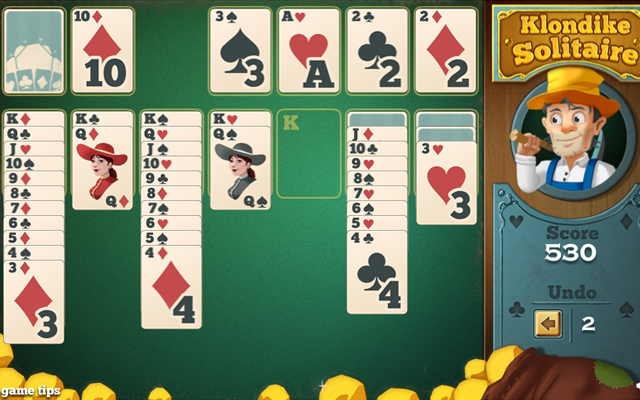 Begin with the placing of all Aces onto sorting plies and try to re-arrange the columns so that as many closed cards as possible are overturned. You start with one deck of 52 playing cards. 7 of these cards are open on the table, 21 are face down on the table and 24 cards are closed in the deck. You get 10 points for opening each closed card on the table and you get 50 points for placing a card in the sorting pile. If you manage to complete the game without reshuffling the deck then you will receive a bonus of 125 points. If you reshuffle the deck once then you receive 100 bonus points, 75 points are awarded for 2 reshuffles, 50 for 3 reshuffles and 25 points are given for reshuffling the deck 4 times. You do not receive any bonus points when you reshuffle the deck 5 or more times. Furthermore, a time bonus is awarded. You get half the amount of seconds remaining of your play time in bonus points. So play fast, and you will be rewarded.